The brand « Genève – a world of its own » has been created to enhance the profile of Geneva, revitalize its public image and unite the players that contribute to the development and promotion of this destination. Designed in conjunction with private and public partners in the relevant fields, the « Genève – a world of its own » brand strengthens the identity of Geneva by highlighting the huge variety of its assets – a characteristic that distinguishes it from all other destinations. The graphic design of the brand, the smooth integration of the emblem and the colours and typographical style chosen highlight the personality of Geneva, which is traditional, modern, natural, sophisticated, multicultural and cosmopolitan all at the same time. 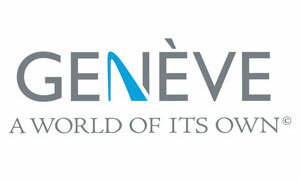 The « Genève – a world of its own » brand may only be used by partner companies and services that contribute to the development and promotion of Geneva. Ein »smiling :D« für Düsseldorf.